On 5 April, the Day of the Lawyer in Turkey, the International Association of Democratic Lawyers stood in solidarity with imprisoned colleagues in Turkey. Only a short time before, on 22 March, 18 lawyers of the CHD (Contemporary Law Association) were sentenced to a collective 160 years in prison, including Selçuk Kozağaçlı, a member of the IADL Bureau. Selcuk was sentenced to 10 years and 15 months in prison for his legal work and advocacy to defend workers, teachers, human rights defenders and social justice advocates, alongside his fellow progressive Turkish lawyers. The case itself has dragged on for years and is riddled with numerous procedural and substantive irregularities, from the replacement of the judge on the case to the introduction of evidence hidden from the defense. It is clear that the trial of these lawyers, like other prosecutions of academics, journalists and opposition figures in Turkey, is a political procedure that aims to criminalize legal work on behalf of social movements. 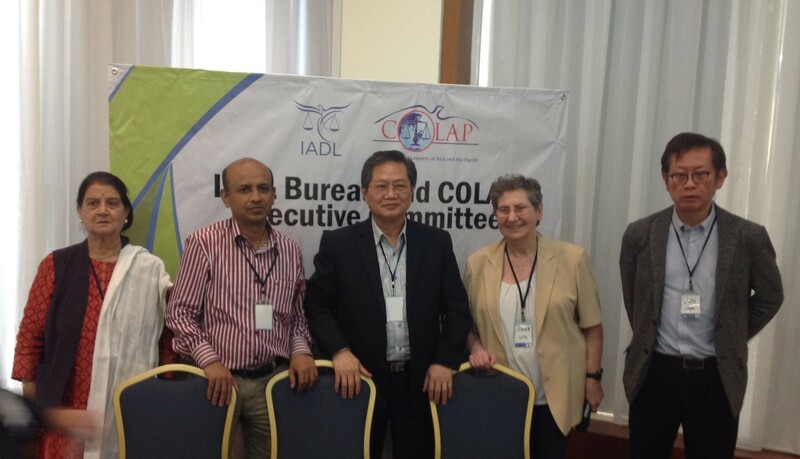 IADL and COLAP members show solidarity with imprisoned Turkish lawyers from Kuala Lumpur. The letter concludes: “These lawyers in fact were targeted for their own political beliefs and the political beliefs of clients they represented. Their charges were in blatant violation of their rights under the International Covenant on Civil and Political Rights which protect freedom of opinion, and due process. Turkey has ratified this Covenant and is required to follow its provisions. 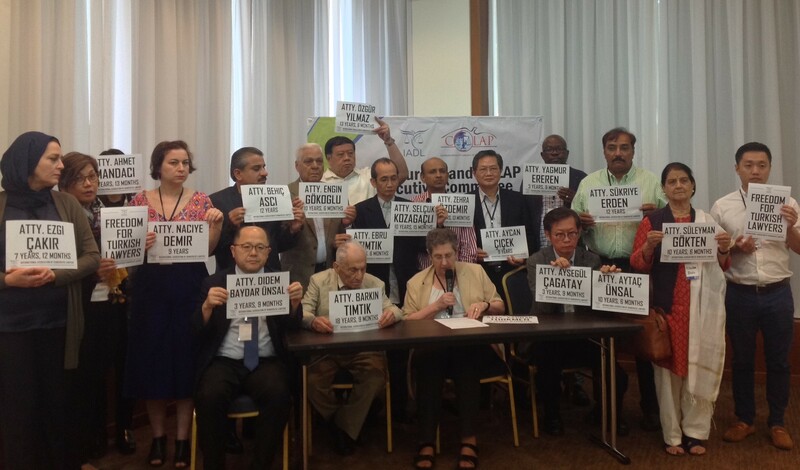 We also believe the attacks on these lawyers violates the UN Principles on the Role of Lawyers which are enshrined in many international treaties.